An inter-species cold war romance, The Shape Of Water presents old ideas with the gloss of new packaging. It's the early 1960s, the cold war is in full swing, and the space race is on. In Baltimore, Elisa (Sally Hawkins) is mute, lives alone, and works as a night shift janitor at a secretive government research facility. Elisa's only friends are next door neighbour Giles (Richard Jenkins), a failed artist, and her crewmate Zelda (Octavia Spencer). The facility receives a mysterious aquatic creature (Doug Jones) referred to as "the asset", captured in the Amazonian jungle by the CIA's brutal Colonel Strickland (Michael Shannon). Elisa is inquisitive about the new acquisition, and starts secretly spending time near its tank. She finds the creature to be curious, capable of communicating and expressing emotions. But Strickland understands only the language of violence and torture, sees no value in the asset and recommends its destruction. A species-loving Russian spy who works at the facility as Dr. Robert Hoffstetler (Michael Stuhlbarg) is horrified, but his superiors are not supportive of intervening. Elisa decides to take matters into her own hands to try and save her new companion, but she will need help. Directed by Guillermo del Toro, The Shape Of Water is an amalgamation of E.T. The Extra-Terrestrial and Free Willy, repackaged for adults with a thicker layer of eroticism and social commentary. The film's set designs, dark mood, and overwhelming green-blue palette are captivating. The predominantly nighttime setting in a cavernous nondescript government facility echoes with bureaucratic menace. 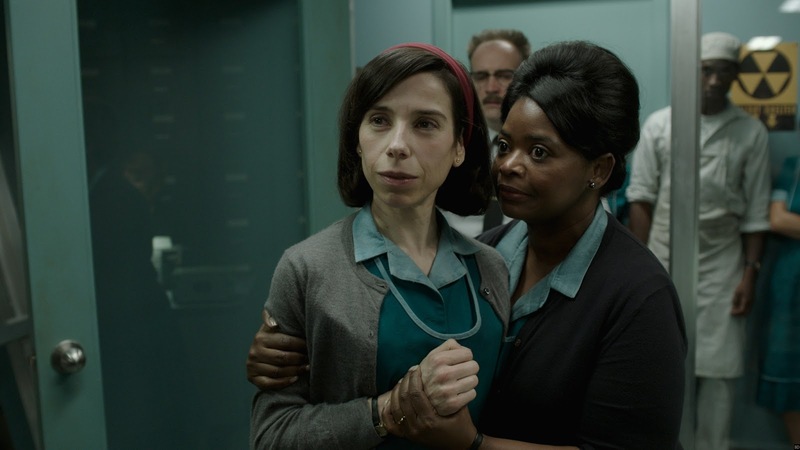 And Sally Hawkins contributes a phenomenal performance as a lowly janitor determined to find love and carving her place in the world using sign language to express every complex emotion. The familiar theme of humanity shining strong and true in individuals who are superficially different and disadvantaged permeates through The Shape Of Water, and indeed is applied with a subtlety of a sledgehammer. Elisa is mute, the creature is half man, half fish, Giles carries his own secret, Zelda is black, and Hoffstetler is Russian. The heroes of this story suffer through society's discriminatory attitudes as they risk everything to fearlessly fight the establishment. And the status quo is not unexpectedly represented by the white Strickland, a member of the military industrial complex spouting Biblical fury and by far the most irrational and dangerous character on display. del Toro displays no control over his villain: Strickland foams at the mouth and acts irrationally for most of the movie, carrying a cattle prod to poke away at his enemies, and everyone is his enemy. The film's other prevailing concept is acceptance of love's magical strength in all relationships, and here The Shape Of Water pushes into some unique territory. Elisa and the sinewy, muscular amphibian humanoid develop a deep and unconstrained bond. del Toro borrows from both King Kong and The Creature From The Black Lagoon as the monster combines danger with intriguing sexuality, and the film waltzes through its premise on a passionate edge where genuine affection, controversy, comic relief and undiscovered powers come together. 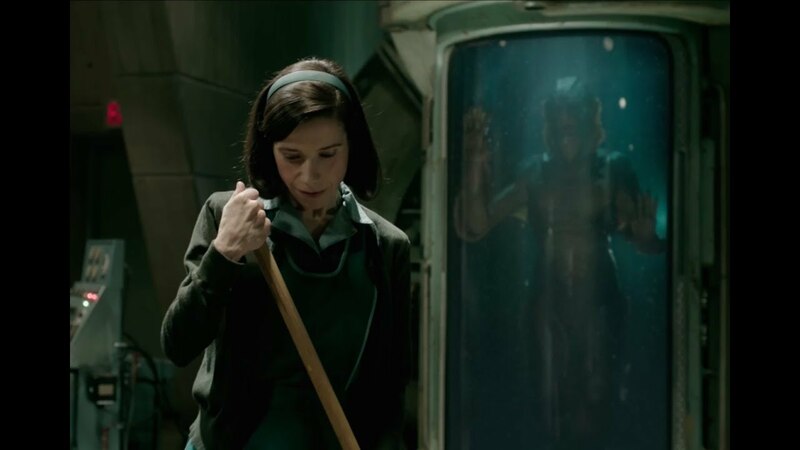 A fantasy romance agitating for debate, The Shape Of Water is nevertheless overly familiar at its essence. I see what you're saying about Strickland, but this is in line with a lot of del Toro's villains. The commandant from Pan's Labyrinth is much the same, as is Jacinto in The Devil's Backbone. His villains are very often all-villainous, while his monster characters are generally neutral in terms of their morality. My biggest issue here was that I guessed exactly how it would end. I mean not just the basics, but the specifics, and that was disappointing. Overall I was vaguely disappointed with this one...I think the film is being overhyped due to current political and social climates.